Ability Problem solving of learners is needed in understanding the economy in order to support student learning achievement. But the problem-solving ability of learners was still low. This is because teachers rarely train the problem-solving skills of learners during the learning process. The purpose of this research is to analyze the implementation of PBI (Problem Based Introduction) model and how much influence of PBI (Problem Based Introduction) model to problem-solving ability. The research method is True Experimental Design (real experiment) The population in this research are all students SMA Negeri 27 Bandung. As for the sample of the research is the students of class X SMA Negeri 27 Bandung as much as two classes are randomly selected by class Instruments used in the research in the form of Multiple Choice type test questions problem-solving problem learners and a questionnaire scale using a Likert Scale model The data analysis is done using t-test, based on postes obtained data of independent samples test with sig value (2-tailed) 0.12 Based on the result of the calculation, the writer concludes that the problem-solving ability of learners who get the model learning problem-based Introduction (PBI) is better than the problem-solving ability of learners who get expository exposure. Therefore, Problem Based Introduction (PBI) model can be used as an alternative for teachers in implementing their learning to create an active, effective and enjoyable learning atmosphere. SAPUTRA, Jusep; ADITYA, Chandra. Problem-Based Introduction (PBI) Learning Model on The Problem Solving Ability of Prospective Economy Teachers. OIKOS: Jurnal Kajian Pendidikan Ekonomi dan Ilmu Ekonomi, [S.l. ], v. 3, n. 1, p. 1-8, feb. 2019. ISSN 2549-2284. 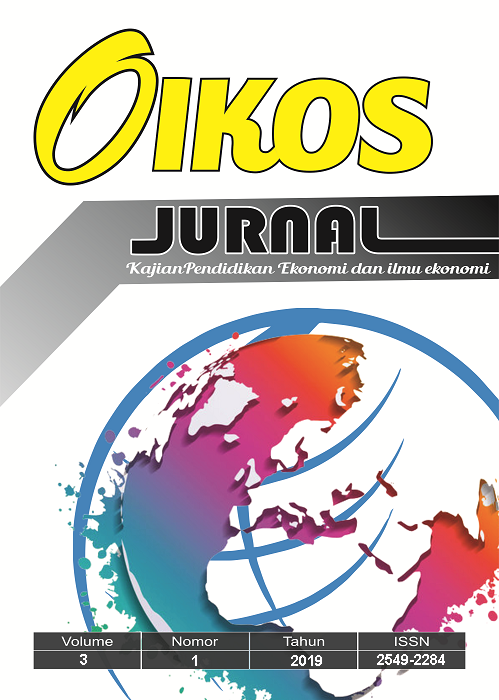 Available at: <http://journal.unpas.ac.id/index.php/oikos/article/view/1387>. Date accessed: 18 apr. 2019. doi: http://dx.doi.org/10.23969/oikos.v3i1.1387.